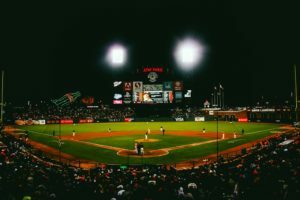 Home Newsletter 2018 - June Estate Planning is a New Ballgame! Estate Planning is a New Ballgame! Estate planning is evolving in significant ways, and if you have not updated your planning and documents (planning always must precede documents) for the new world of estate planning, your planning will likely NOT (caps intended) work. 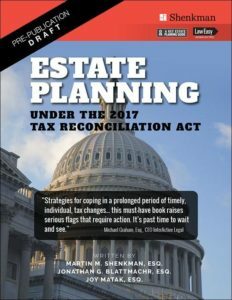 In December 2017 what some call the Tax Cut Jobs Act of 2017 (the “2017 Tax Act”) which dramatically changed how many people should handle all tax planning (not just their estate tax planning). More than ever before your estate planning is intertwined with your income tax planning. Many (perhaps most) old wills and trusts might not be optimal in the new tax environment, they might even be costly! But estate planning is so much more, and focusing on just taxes (or thinking you don’t have to address your estate plan because you don’t have a tax problem), will almost assure a mess. This topic really requires a book (and that is in process) but the tips following will try to highlight key points to get you back on track. Dr. Phil doesn’t stay busy ‘cause people are simple and families get along. Most of us are pretty complicated, and families are often dysfunctional (and worse). Bottom line – if you don’t deal with the human elements of estate planning your plan is useless and your goals won’t be accomplished. So, whether the tax laws are new or old, most people can reduce the potential for estate spats with intelligent planning. But that requires confronting family demons and dealing with them proactively. Ignoring these issues might work since you may not be around to witness your family implode. But is that really what you want? The recent deaths of two remarkable and incredibly talented people, Kate Spade and Anthony Bourdain, highlights the incredible pain and challenges so many people have, but which we as a society just don’t seem to want to talk about. Suicide is the 10th leading cause of death in the U.S. 1 in 5 adult’s experiences mental illness each year. You can make estate planning about sterile legal documents (most folks prefer this ruse). But unless you really try to address the challenges you and your loved ones have, and we all have “something,” your planning (or more accurately your lack of real planning) won’t help or protect you or those you care about most. As a society we hardly seem able to talk about depression and mental health issues, the debilitating consequences of aging and chronic disease, family dysfunction, real diversity, and so much more. These considerations should be integrated into most plans. But addressing these tough issues is what can make an estate plan your estate plan. We, as well as our children, might choose different religions and life styles, go through ugly divorces, spend with abandon, have cognitive issues, develop major health issues, … While difficult, that is the fabric of which we are made and which makes us human. Our planning should be just as human, as well as compassionate, and realistic. Modern estate planning seeks to address a wide array of personal, financial, income tax, estate tax, asset protection and other goals in a flexible and robust manner. If your planning or documents are older they may not incorporate many of these new concepts that estate planning has evolved to include. So, regardless of the tax law changes (see below), your planning may need a facelift. While planning generalizations are always fuzzy and potentially misleading, it might help you to consider how planning might differ based on wealth levels. The ultra-high net worth folks are planning like all get-out. The last great chance to repeal the estate tax failed with Trump’s efforts that culminated in the Act. The current environment (no restrictions on valuation discounts, high exemptions, etc.) may just be the best its going to ever get. Fear the unknown! What might the 2020 election bring? Might the tax and other winds in Washington shift? Not worth the risk. Plan now and shift wealth before that process becomes more costly and difficult. My Ouija board is busted so be sure the plans you use are flexible enough to deal with whatever might happen in Washington. Planning at this level is always complex, and always risky (if you move assets out of your estate you might lose a basis adjustment on death). You just can’t move zillions without tax and legal risks few of which can be quantified or weighed. But most UHNW seem to believe that these negatives pale by comparison to the risk of doing nothing and waiting for Washington to again change the tax rules. The lower wealth folks need to address the fact that all their existing planning may be useless or worse considering the new law. Update your documents (formula clauses in wills should be redone, old trusts examined, etc.) Just because the exemptions are high doesn’t mean you don’t need to update. Too many cats in this category are just zapping old trusts with nary a thought. Often not the right move. You might have an old insurance trust holding insurance bought to pay an estate tax you might have owed when the exemption was $1M not $11.18M. But killing and good trust and cashing in a policy may be the worst move. That policy might be a good ballast to your stock portfolio, might be exchanged into a product that serve your current needs, and that trust might be decanted (merged) into a new improved trust that can accomplish a range of goals. Deep-sixing an old trust might sound simple and if you do-it-yourself it might be cheap too. But it may prove dumber than all the other options. The moderately wealthy population may now be a wide spectrum from $5M to $40M given the new high exemptions. Those in these wealth ranges may benefit significant from both the income tax and estate planning benefits of estate planning. New types of trusts might save significant income taxes too. But planning is more complicated than ever (and you thought with high exemptions you didn’t need to still love your tax attorney!). OK, complicated means costly too. Why? You should use some of the high exemptions before they sunset in 2026 (or a new administration in Washington changes them). Because the new exemptions (the amount you transfer without a tax) is so high ($11.18M per person in 2018) you probably should only transfer assets to trusts you can still benefit from (even if only indirectly). You might also benefit from the many income tax savings non-grantor trusts (those that pay their own tax, in contrast to grantor t rusts on which you pay the income tax on trust income). make that trust a non-grantor trust for income tax purposes. You can thread that planning needle but takes more than an off-the-rack-trust and you have to coordinate your estate planner, CPA and wealth adviser to make these MacGyver-Trusts work! While planning at this wealth level can be the most complex the best news is your planners will introduce you to a gaggle of new planning acronyms: SALTy-SLATs (or SLANTs) which are non-grantor variations of the spousal lifetime access trust), and un-INGs (a completed gift variant of the traditional intentionally non-grantor trust). But you may still need your SLATs (grantor spousal lifetime access trusts), DAPTs (domestic asset protection trusts), and more. With this many new acronyms you can impress your golf buddies with a new tax acronym for every hole! Caution – they may experience acronym envy. 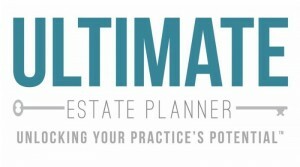 This is a pre-publication draft of the book which has been released to get new ideas regarding the future of estate planning into the hands of practitioners as quickly as possible and will only be available for purchase through The Ultimate Estate Planner, Inc. for a limited-time! Get your copy for just $50 today! Martin “Marty” Shenkman, CPA, MBA, PFS, AEP, JD is an estate planning attorney and Certified Public Accountant from Paramus, New Jersey. He received his Bachelor of Science degree from Wharton School, University of Pennsylvania 1977 with a concentration in accounting and economics. He received a Masters degree in Business Administration from the University of Michigan 1981, with a concentration in tax and finance. 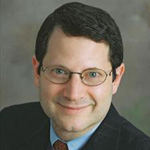 Mr. Shenkman is active in numerous charitable organizations, sitting on many boards and planned giving committees and lectures regularly for these and other organizations.